With so many big, scary things going on in life, it can be challenging to not worry and think about what will happen about this or that. 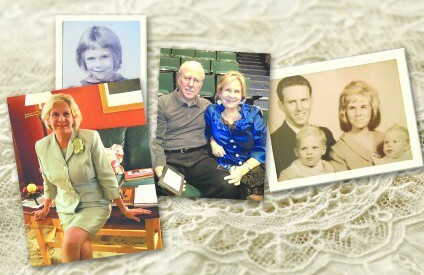 But it is said that sometimes it’s the littlest things that can cause the most havoc. A slip in a small puddle evokes a trip to the emergency room; a squeaky door wakes up a sick, crying baby or a tiny nail causes a major blowout on the freeway! 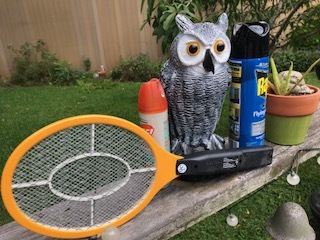 But a Mosquito?…. come on, really? Mosquitoes are tiny, sneaky, vicious creatures that can transmit country killing diseases. They have been around for millions of years and can carry malaria, dengue virus, West Nile-virus and also carry and pass on heart-worms to dogs. In some countries protection from the Mosquito is a daily fight, much like seeking water, food or shelter. 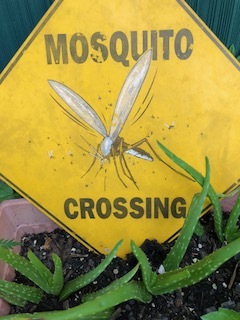 But, for most of us the Mosquito is a pesky six-legged, low flying, buzzing feeder that slides one tube of its’ proboscis into the skin to draw our blood with a second tube to inject its’ saliva which contains a painkiller and an anti-coagulant to easily take out our blood. It is their saliva that causes us to swell and itch. And it is the female Mosquito that does the biting to get our protein rich blood to help her eggs develop. 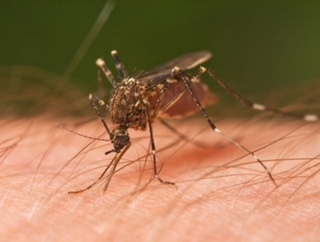 Most people have a mild reaction to Mosquito bites but some people suffer more, leading to red swelling bumps, major itching and even infections from scratching! My Husband is one of those people. He claims that he can go outside with other people and they will bite him and no one else. I have seen that he does seem to be bitten more often when others are not. Thus, he has been on a quest for years to detract, well… to actually kill, Mosquitoes. He hates to use any chemicals that could hurt other creatures and won’t even fertilize our yard to prevent harming the environment. Thus, he has had every contraption imaginable to zap them, spray them, repel them and shoo them away. His favorite being the handy-dandy battery operated zapper because he can hear them fry when they are zapped. He bought two of those! In his quest for Mosquito termination he is susceptible to new ideas and inventions. So along came the no chemical Dynatrap, his latest environs-friendly trial. First he installed one in the back yard and waited for the collection of the evil ones. The tray did fill up but it also caught and killed a few nice bugs too! But anyway we proceeded to try it and then he decided maybe we should get a smaller one for the front porch too. That’s when the unintended consequence occurred. As Hubby went to hang and plug in the small front porch contraption, he ran the plug cord along the gap by the side of the Garage door. No problem, it worked fine. But then to test it we ran the Garage door up and down a few times and began to hear some very loud squeaking. The cord wasn’t caught or rubbing and the Trap was hanging fine. So we sprayed good ol’ WD-40 on all the gears and bolts of the Garage door and decided it was just getting old. 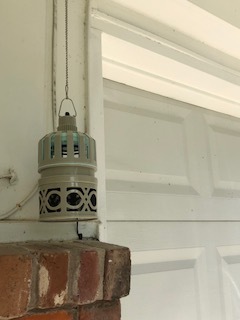 However, as we walked out of the Garage we heard another loud cracking noise and noticed that the metal bar holding the Garage door opener on the ceiling was hanging from the ceiling and all of the Garage doors’ parts were torqued toward disaster. So, as I called repair companies, who were all too busy to come out, Hubby quickly climbed up on a ladder and proceeded to hold up the very heavy motor and brace bar with one arm, with me playing surgical assistant handing him tools. 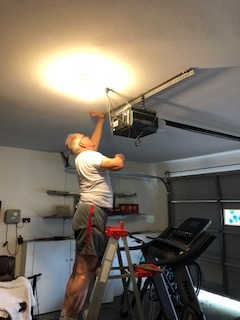 He finally succeeded and re-bolted the Garage door opener and all parts back into the ceiling with his other arm. After securing the Garage door, he relaxed but then proceeded on his mission to check his Mosquito Traps all the while telling me how he had read that Mosquitoes like some human blood types more than others; how they bite at certain times of the day; and how they like sugar in the blood or people who drank beer or wore certain colored shirts, etc. 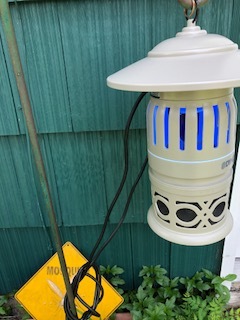 I listened and then told him I had also read that they like and are definitely drawn to CO2 (which is exactly what his fancy new Trap emits) and that people who talked a lot...about Mosquitoes...emitted lots of CO2 when they talked. Well, he just looked at me…speechless. 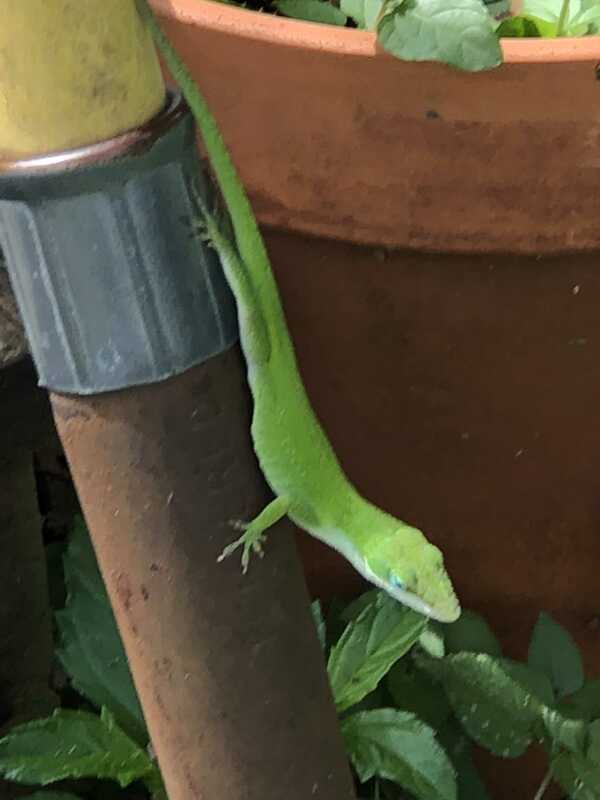 So, he checked his Trap and low and behold he found one of our sweet Geckos dead in the Trap. 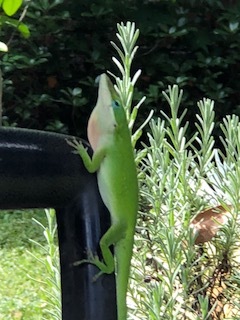 Our beautiful, ever posing Geckos…which ironically eat Mosquitoes. 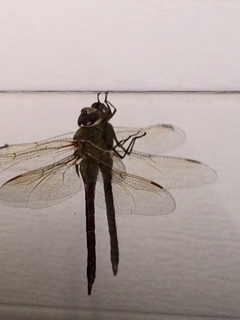 We also have lots of Dragonflies and even found a baby Opossum hanging around in our yard and they love Mosquitoes too. 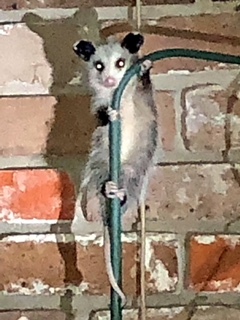 So, for now he will go with the Traps but I’m counting more on my votive candles, Opossums, Dragonflies and the Geckos to do the job. 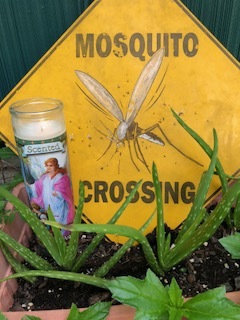 And just in case I keep the Mosquito repellant spray handy and ready because you just never know when a tiny little thing could have unintended consequences!